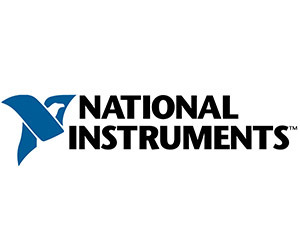 In 2013, National Instruments (NI) signed a Memorandum of Understanding (MOU) with HEEAP to donate free software and discounted hardware to all eight HEEAP schools. As one of the leaders in experimental research tools and test and automation, NI will provide HEEAP’s eight universities and technical colleges with $7 million in LabVIEW training and software. LabVIEW will be incorporated into existing curriculum and research efforts to better prepare engineering students for professional success post-graduation. In March 2014, NI and HEEAP launched “NI Innovation Design Competition for Young Entrepreneurs in Vietnam”. The competition calls for students and graduates of HEEAP schools to submit market-ready projects that support the sustainable development of the local community. In June 2014, NI and HEEAP organized a kick-off event for the competition and training for first-round winners. The final round of the competition took place on December 9, 2014 in Ho Chi Minh City. Five teams received the opportunity to present their projects in front of an audience of NI and HEEAP industry partners, along with a distinguished panel of judges who included Mr. Chandran Nair, Managing Director of NI Southeast Asia, Ms. Duy Loan Le, Senior Fellow of Texas Instruments and Board of Director of National Instruments and Mr. Richard Carruth, General Manager of ON Semiconductor Vietnam Assembly and Test Operations. The five finalists included teams from Can Tho University, Hanoi University of Science and Technology and Ho Chi Minh University of Technology. They focused on addressing community challenges in areas such as agriculture and healthcare. Since 1976, NI has equipped engineers and scientists with tools that accelerate productivity, innovation and discovery. NI’s graphical system design approach to engineering provides an integrated software and hardware platform that speeds the development of any system needing measurement and control. The company’s long-term vision and focus on improving society through its technology supports the success of its customers, employees, suppliers and shareholders.